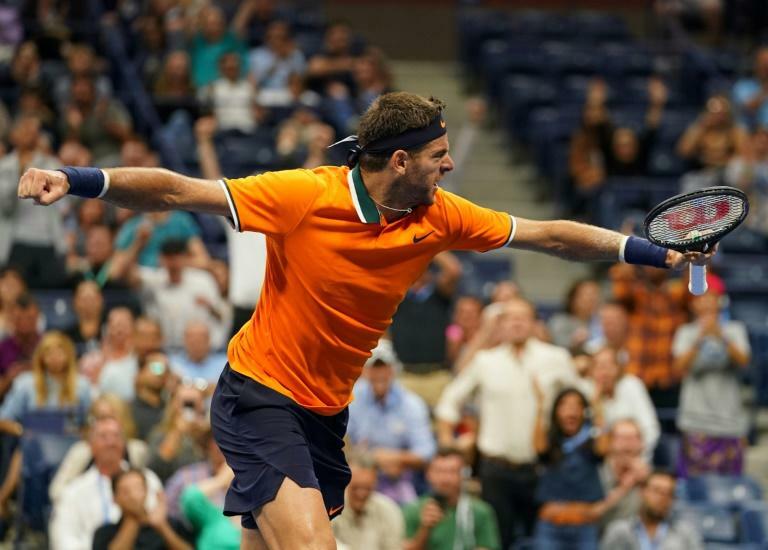 Former champion Juan Martin del Potro reached the US Open last 16 for the sixth time on Friday but admitted meeting his rock star hero Bruce Springsteen was just as good as if he had won the Grand Slam title. Argentine third seed Del Potro made the fourth round with a 7-5, 7-6 (8/6), 6-3 win over Spanish left-hander Fernando Verdasco. But meeting 'The Boss', rock legend Springsteen last week was a highlight of New York for him. "I went to see 'Springsteen on Broadway' at the theatre and I had the honour of meeting him after the show," said Del Potro. "He is a big idol of mine and it was just like winning the title. I hope he can come and see me play but he may be too busy," he added as he left the Arthur Ashe Stadium Court to Springsteen's classic song Born to Run. Del Potro, the 2009 US Open winner, goes on to face Borna Coric, the 20th seed from Croatia in the next round. Coric made the fourth round of a Slam for the first time with a 6-3, 7-5, 6-2 victory over Russia's Daniil Medvedev.